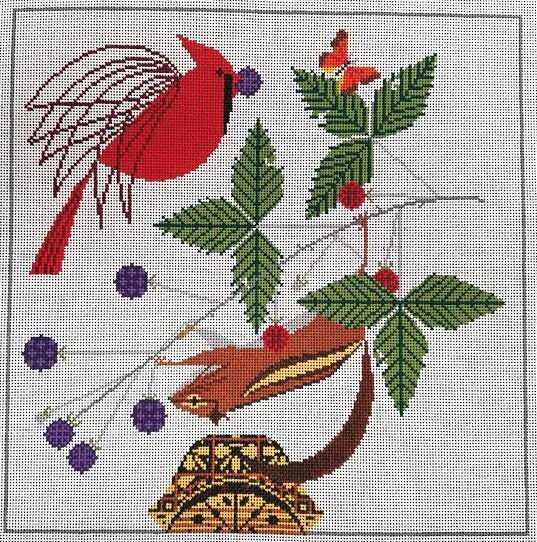 The Charley Harper needlepoint cardinal and squirrel design is hand painted onto 13 mesh Mono Zweigart needlepoint canvas. This cardinal and squirrel handpainted Charley Harper needlepoint canvas is usually in stock and ships within a few days. However, due to the popularity of Charley Harper canvases it is subject to back order so if you're in a hurry let us know.